Research has revealed that 94% of Australians aren’t getting enough quality sleep. Only 1 out of 4 people are getting a solid 8 hours, with the average being only 6.5 hours sleep per night. Our sleep is a precious time that allows our bodies to heal and rejuvenate, and without enough quality sleep, our health can begin to suffer. Do you ever lie awake at night, tossing and turning, struggling to fall asleep because your mind is racing with thoughts and worries about the day that’s just gone or about the day that’s about to begin? There’s nothing more frustrating that being achingly tired, yet wired, unable to get a decent sleep. Unfortunately, many of us know how that feels, because 1 in 3 people are regularly affected by insomnia. Many of us are well aware what happens to our bodies (and brains) when we don’t get enough sleep, you may have experienced symptoms like decreased coordination, a foggy brain, lack of concentration or a down regulated immune system. You may also experience more colds, flus or even a headache/migraine.When we don’t get enough quality sleep we change the body’s night and day circadian rhythms, the seasonal adjustments, which can impact many facets of our health. Melatonin is a hormone produced in the pineal gland in the centre of your brain. Melatonin regulates the body’s circadian rhythms such as the sleep-wake cycle and increases the feelings of “sleepiness”. Melatonin is at its highest prior to bedtime, iIf the environment is right. It’s released in higher amounts the darker it is, while the amount lessens with more light. If you’re constantly exposed to artificial lights (TV, computer, iPad, laptop screens etc) before you go to sleep, then this will be affecting your melatonin levels which will impact your sleep. At the end of the day, if a person is sleep deprived, their immune system will never reach its full potential. Sleep is so important for healing and it’s FREE! Read more about the benefits of sleep here. Can Eating Gluten Cause Problems With Your Sleep? Although there is little research in this area, most people who have either celiac disease or non celiac gluten sensitivity symptoms do suffer from fatigue, and report that even though they are fatigued they still find it difficult to get to sleep and stay asleep. If you do have poor sleeping patterns it’s worth looking into your diet, and list the specific food that you consumed within the last 24 hours, as it might have contained gluten, without you knowing it. By listing the foods you can start an elimination process to work out the ‘culprit’ food is. To give your body a healthy start, it’s beat to avoid inflammatory foods and introduce more inflammatory fighting foods. Herbal teas such as chamomile tea have been a reliable remedy for helping people to doze off. According to researchers, drinking chamomile tea is associated with an increase of glycine, a chemical that relaxes nerves and muscles and acts like a mild sedative. Tart cherry juice is a natural remedy which can help you sleep better because it contains Tryptophan. Tryptophan is an essential amino acid that converts to serotonin which then converts to melatonin. Magnesium plays a vital role in the functioning of GABA receptors, which is the primary neurotransmitter that calms your central nervous system, relaxes you and can help prepare you for sleep. Magnesium rich foods include; cacao, spinach, pumpkin seeds, swiss chard, brazil nuts and sesame seeds. You can also have an epsom salt bath to ensure you’re getting plenty of magnesium. Click here to find out more about magnesium. Researchers have found that walnuts contain their own source of melatonin, which may help you fall asleep faster. B Vitamins are one of the most important vitamins for your sleep health, and some deficiencies have been linked to insomnia. B Vitamins are co-factors for a number of important enzymes so they can help to promote sleep by stimulating the activity of serotonin, dopamine, GABA and melatonin. B Vitamins rich foods include; organ meats such as liver, tuna, salmon, chicken, bananas, chickpeas, eggs and green leafy vegetables. Potassium and magnesium are natural muscle relaxants, and bananas are a good source of both. Bananas contain tryptophan which serves as precursor for serotonin and melatonin. Begin increasing your exposure to sunlight as soon as you wake up, you can go for a walk in the morning as well as on your lunch break. I would also recommend that you reduce your exposure to electrical lighting at night. This will begin to turn your internal clock and sleep times back to normal and make it easier to wake and be alert in the morning. Aim to get to bed by 10 pm as the 2-3 hours sleep before midnight is much more important than the time you get after midnight. Make sure your room is dark. It should be near pitch black as this allows your circadian rhythms to get back in sync with their natural rhythms. Make sure you have no lights, dimmers, bright clocks or streetlights shining near or around your bedroom. If your blinds or curtains let in any light, cover them with a blanket to block it out. 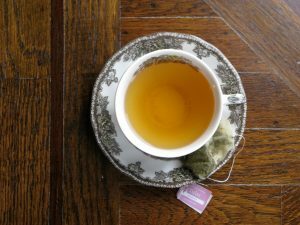 Do not consume stimulating drinks after lunchtime; instead drink calming herbal teas and water especially winding down to bed (but not too much so you don’t have the need to wake in the middle of the night to go to the toilet). Screens, smart phones, bright lights all interfere with the body’s ability to sleep and for the brain to turn off. Keep all screens out of the bedroom and try to stop using them at least two hours before bed. Alcohol can interfere with sleep; try a month of no alcohol to see how much better you sleep. Don’t eat chocolate or sugary sweets late into the night or before you go to bed, as these can also be stimulating and start an addicting habit. Appropriate bedding for the seasons is also important so that you don’t over heat or get too cold. Try a meditation before bed to help relax your body, de-stress yourself and calm your mind. Try aromatherapy, many people use Lavender essential oil to aid sleep. Have a bath with epsom or magnesium salts for 15-20 minutes each night before bedtime. Some herbs have also been found to aid with a deeper sleep, so seeing a herbalist may also be a great option. For some more great tips, see this infographic by Positive Health Wellness here. Now I’d love to hear from you. Do you have trouble sleeping? If so, what tips have worked for you?